The new mobile VR headset will not have an on-board volume controller and will be a little bit bigger to accommodate the size of the Galaxy Note 8 smartphone. Consumers that are planning on purchasing the new smartphone can pre-order the new Gear VR headset starting tomorrow for $130. It will come with the headset controller. I've got the second (?) Gear VR that I've only used maybe 3 times because I got it with a Note 7 which I had to return, and my Note 2 won't work in it. Now the Note 8 won't fit either so I need a new one. Specs for the Note 8 show a lower ppi density than the Galaxy models. Unless the new Headset comes with wider lens/apertures to take in, (and compress) the larger total screen area, the image quality will be less, not more. Yeah, I was bummed to see the S8 had a lower pixel density than my S7. 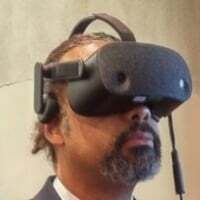 I thought Samsung was going to be cutting edge with the mobile option of VR. I think we were all surprised by the degradation in the new S8 screen performance. Add to that the possibility I[ can just flip into the older GearVR and we seem to be seeing a refocus on the initial VR ready approach. The NOTE 8 might fit in the old goggles but they will not be centered properly. Much like what s8 users experienced when they didn't realize the goggles come set up for s8+, the even longer screen will place the center of the screen offset and the gear vr will not have the proper notch to center it. 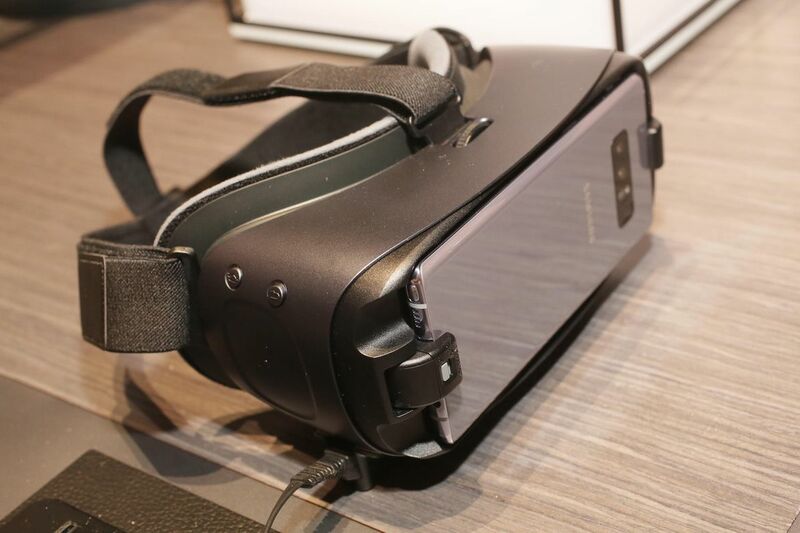 The newer phones won't work in older Gear VR headsets. Even if the plug might fit, the alignment of the lenses and the stereoscopic imagery will not be calibrated correctly and will result in a poor experience.